The pumpkin patch is a hit at Yoder Farm. Sheltered in the rolling foothills of the Blue Ridge Mountains, Campbell County, covers more than 511 miles and includes the towns of Altavista, Brookneal, and Rustburg, the county seat. More than 50,000 people call Campbell County home. The county is a scenic place with wineries and farms enhancing the landscape. It is115 miles west of Richmond, the state capital, 200 miles southwest of Washington, D.C., and 200 miles west of Norfolk. Campbell County Public Schools serve students in K-12 with 13 schools and one technical education center. With an emphasis on workforce training, the Campbell County Technical Center, a part of Campbell County Public Schools, offers vocational and technical education as well as GED courses. The Virginia Technical Institute (VTI) in Altavista provides hands-on training in the areas of electrical, plumbing, heating and air, welding, carpentry, and industrial maintenance. Altavista provides shopping options for people of Campbell County. 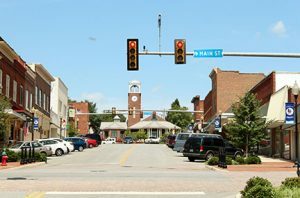 The Town of Altavista has a laid-back atmosphere with tree-lined streets, Victorian-era homes, and quaint shops full of antique treasures, unique local finds, and natural remedies. Restaurants serve dishes ranging from Southern fare to exotic cuisine. The Trade Lot, held every first Saturday, is time to barter and trade and buy fresh food straight from the farm. The Altavista Train Station, a former Southern Railway Station, was renovated in 1987 to serve as a meeting room for business organizations, civic clubs, and individuals. The Altavista Area Chamber of Commerce has its office in the building. Founded on the banks of the historic Staunton River, the Town of Brookneal began as a ferry crossing, linking Campbell, Halifax, and Charlotte counties. 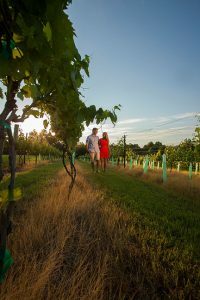 Visitors can enjoy a round of golf at Hat Creek, taste fine boutique wine at nearby San Soucy Vineyards, or participate in events such as Day on the Town. The Willie Hodges Booth Museum is located in the back of the Patrick Henry Memorial Library and features items of local interest. 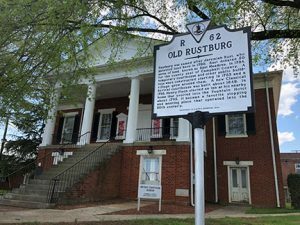 Rustburg is the county seat and home to restaurants and hotels. Antiquing is a favorite activity here. 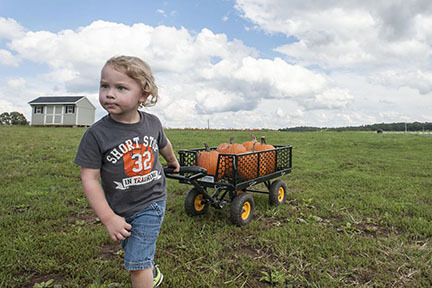 The Yoder Farm provides family friendly activities at its corn maze. Locally grown and gourmet produce, jams, jellies, apples, baked goods, and cook books are sold at the Farm Store. Early Virginia history is recorded at Avoca Museum near the town of Altavista. 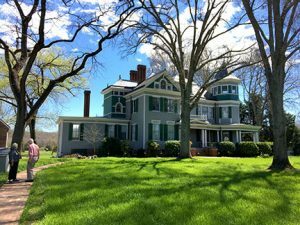 The home was originally the private residence of Colonel Charles Lynch, planter, lawmaker, soldier, and the brother of Lynchburg’s founder, John Lynch. The museum has collections, displays, programs and interpretations detailing the cultural and natural history of the Region. Near the town of Brookneal is Red Hill, the home of Patrick Henry, the fiery legislator and orator of the American Revolution. The Patrick Henry National Memorial includes Patrick Henry’s grave and law office, his reconstructed house and other outbuildings, rare family artifacts, and a growing network of interpretive scenic trails. Construction has begun on the $2 million, 5,100-square-foot Eugene B. Casey Education and Events Center that will serve as an all-weather event facility for school groups, weddings, business meetings, and lectures. October 2018 is the anticipated completion date. Leesville Lake is a favorite recreational area for boating, water skiing, wakeboarding, and fishing for striped bass. The state record striped bass was caught out of Leesville Lake in 2000. Sixty-one acres of parkland in the Town of Altavista include English and Shreve parks, a boat launch, fishing piers, walking paths, baseball fields, basketball courts, picnic areas, and playgrounds. In other parts of the county, Timbrook and Younger parks offer family fun. Near Brookneal, the Staunton River is a popular place for canoeing and fishing. Brookville High School presents high quality theater and holds theater camps for elementary and middle school students. Altavista has a local theater troupe and hosts art shows featuring creative local talent. Uncle Billy’s Day Festival in Altavista is celebrating its 69th year. The two-day event in June will feature a craft show, food vendors, flea market, live music, car show and children’s activities. A spectacular fireworks display will conclude the festival. The annual Heritage Festival, held in October, celebrates Campbell County’s history and culture.